How's this for a little dose of awesome? The crowdfunded Skully AR-1 smart motorcycle helmet is starting to ship to backers who pre-ordered the "helmet evolved" at the end of 2014. 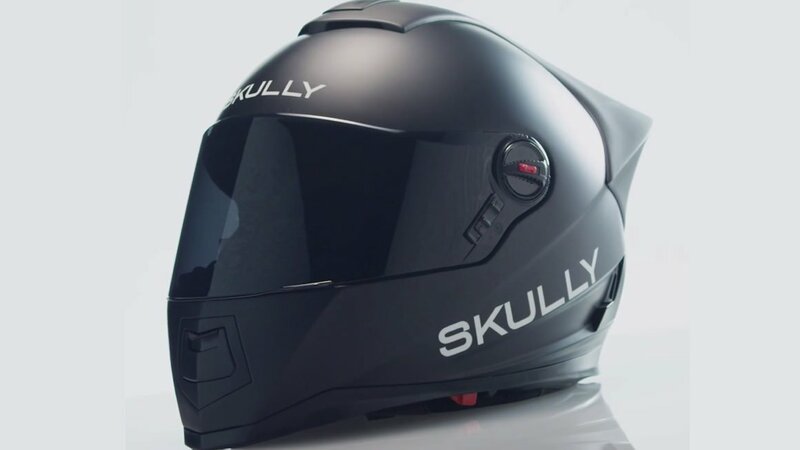 Indiegogo backers pledged $1,399 each for the Android powered HUD-enabled helmet and with delivery originally set for May 2015, Skully is well, slightly late. According to VentureBeat, Skully will ship in time for Christmas. That pricetag might sound expensive but that's how much Google was charging for Glass and we reckon you're getting a pretty good bang for your buck with Skully. Not only does the heads-up display provide detailed road layouts and GPS mapping, there's hands free music streaming and you'll also have access to a rear view camera feed, with 180 degree coverage so all blind spots will be eliminated. The angle of the camera can be personalised with the accompanying app and the GPS mapping system is all set for both the States and Europe. With a battery life of nine hours, it should last even a mammoth riding session. Not that you'd get bored on an extra long journey - there are music playback and hands free calling features too, all controlled by your voice. The Skully AR-1 helmet is weather resistant, with all the electrical components sealed with a special coating and there are injection moulded casings to keep the elements at bay.